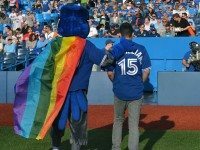 The Blue Jays Have a Homophobia Problem. How Do We Fix It? 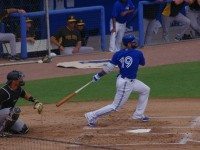 There is an institutional responsibility to address the culture of toxic masculinity in the wake of Kevin Pillar's anti-gay slur. 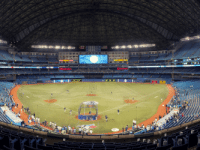 Resident Jays lover Stacey May Fowles on what this year in Toronto baseball has to offer. Stacey May Fowles reflects on the (meaningless, but nonetheless exciting) Spring Training wins for the Boys in Blue. 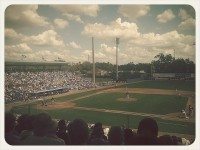 Stacey May Fowles on how small town Dunedin provides the appropriate setting for Blue Jays spring training. 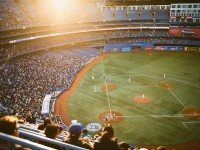 Stacey May Fowles heads to Florida for Spring Training to watch the Jays in action for the first time this year. Nominated for: a magical season that made us all believe. 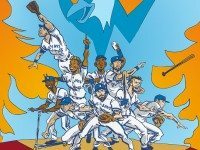 With the Jays knocked out of the playoffs, Stacey May Fowles writes about a great Jays season, and win or lose, why we care so deeply. 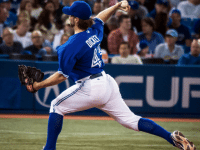 It isn't his knuckleball that separates Jays pitcher R.A. Dickey from his peers. It's what goes beyond baseball. 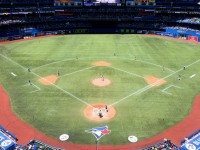 As the Blue Jays make their way into the American League Division Series, we reflect on why their victories are a win for us all. 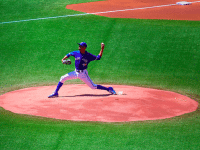 You can't help but love the Jays' youngest starter, because he reminds us of our best selves. 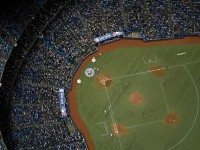 With the Jays poised for playoffs, some Baseball Life Advice for the newbie Toronto ball fan. The Literati: Print Stoppage and Pages Moving? The Literati: Country Music, Vampires, and Haute Couture, Oh My!